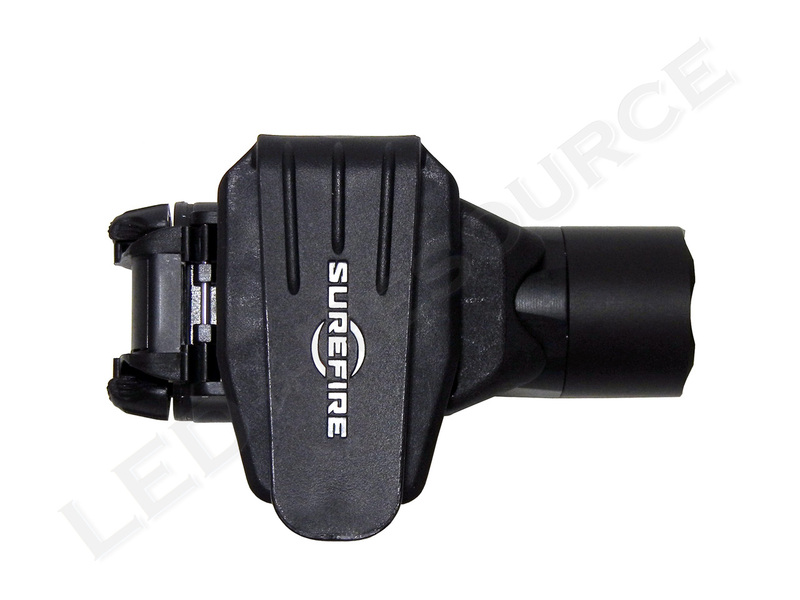 With high-output performance in an extremely compact form factor, the new SureFire Y300 Ultra is not your average handheld light. 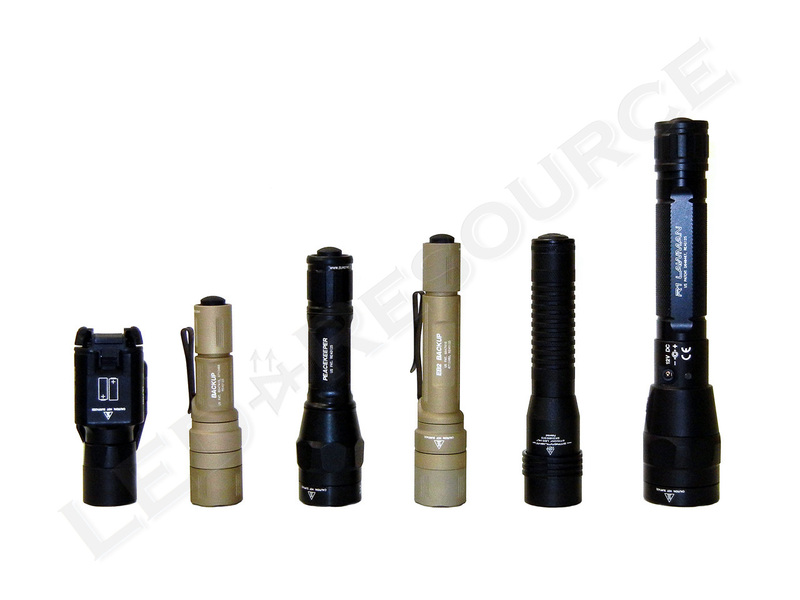 The design is based on the weapon-mountable SureFire X300 Ultra, which has an ambidextrous toggle switch and holds two 123A batteries side-by-side to reduce the light’s size, resulting in a design that fits comfortably in your hand and more convenient to carry than other two-cell lights. 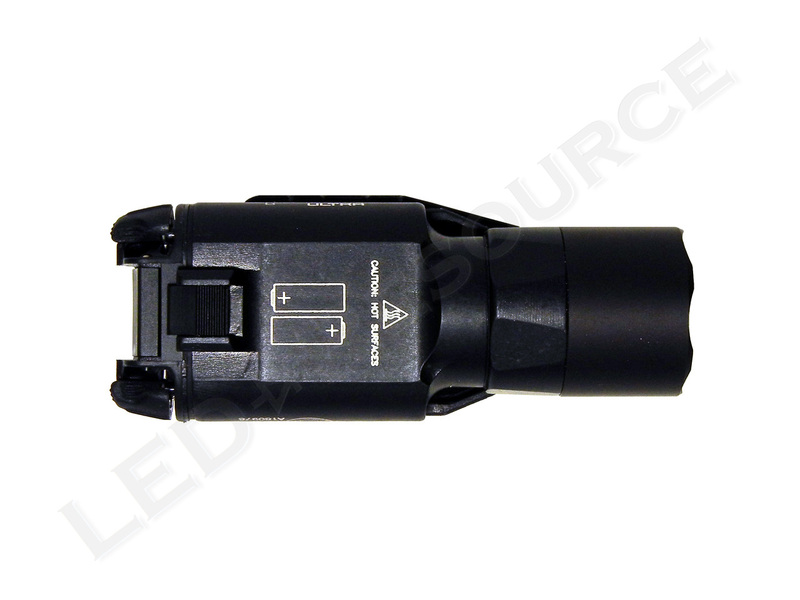 The Y300 Ultra has two output levels, 500 lumens of maximum output on high and 15 lumens on low, and is adaptable to a variety of uses with a choice between the magnetic base and belt clip, or a two-way pocket clip. MSRP for the Y300 Ultra is $295, and the light is only available in black. 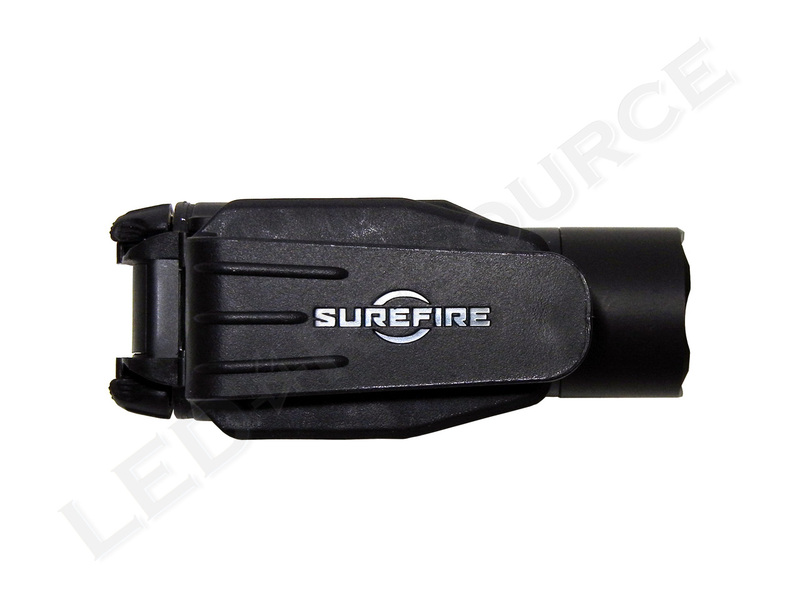 We received ours in pre-production packaging, but production models will come in a box with similar contents, including: SureFire Y300 Ultra, 2 x SF123A lithium batteries, magnetic belt clip, two-way pocket clip, and user manual. 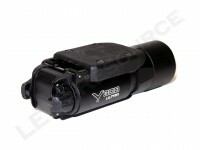 The Y300 Ultra is powered by two lithium 123A batteries, which are held side-by-side inside the light. 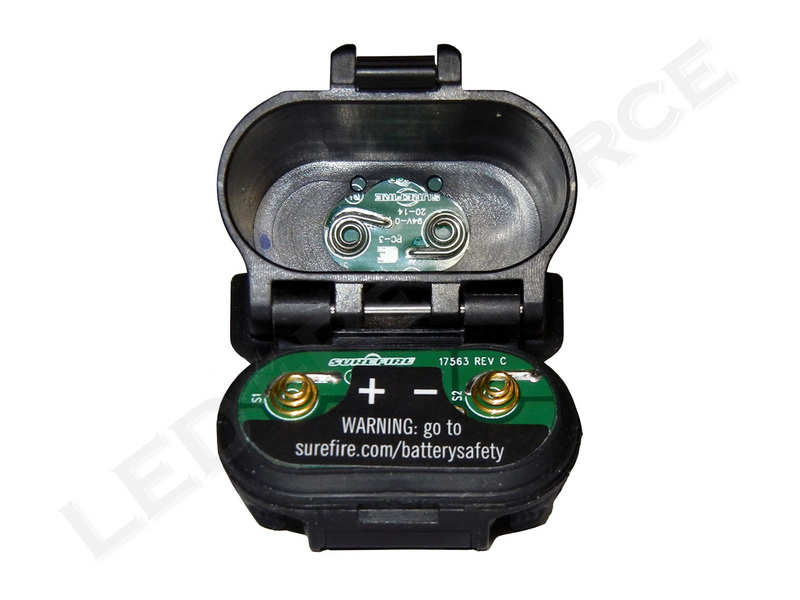 Batteries will be attracted to the center due to the magnetic base of the Y300 Ultra, so it’s easiest to insert both together and give the Y300 Ultra a decent shake to remove them. Rechargeable alternatives, such as the 3.2V lithium-phosphate K2 Energy LFP123A, can also be used. 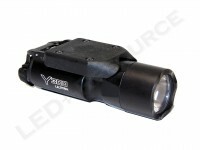 Based on the X300 Ultra weapon-mountable light, the Y300 Ultra is a handheld light with a unique design. 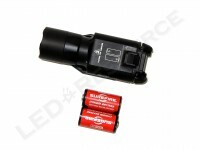 Its dimensions are 3.6” long, 1.4” wide, and 1.2” tall, which fits well in a pocket or the palm of your hand. The aluminum body is type-III anodized for protection against scratches and corrosion. Behind the crenelated bezel is an anti-reflective coated glass window covering the Total Internal Reflection (TIR) optic. 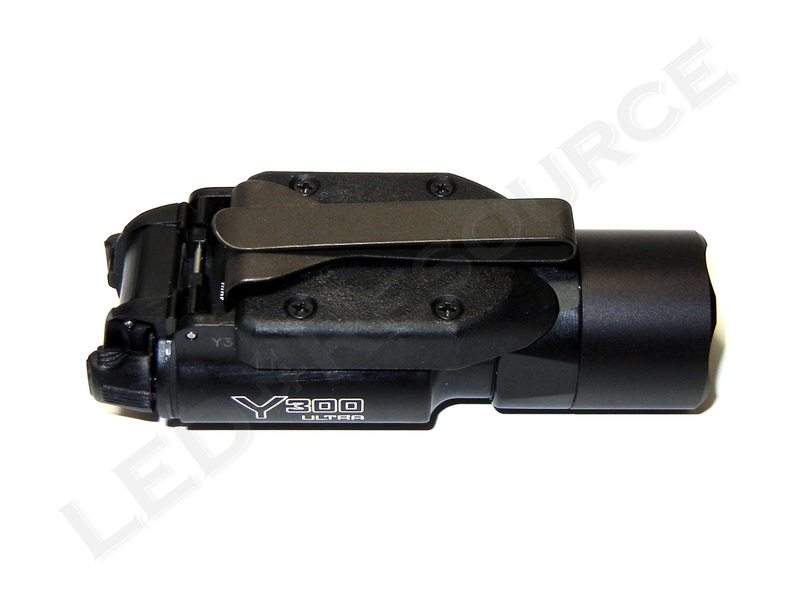 The Y300 Ultra’s magnetic base attaches to the belt clip both horizontally and vertically. 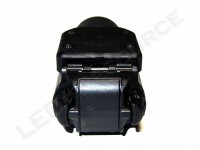 Four tabs on the belt clip assist with alignment, but restrict the light’s orientation to the two directions shown below. To install the two-way pocket clip, remove the four screws that secure the magnetic base, slide the pocket clip over the base, and reinstall the base. The magnetic base has limited functionality with the two-way clip installed, so the magnet can be removed using a small flathead screwdriver if desired. Battery orientation is engraved onto the bottom of the light, and a spring-loaded latch on the bottom of the Y300 Ultra releases the tailcap and switch assembly. 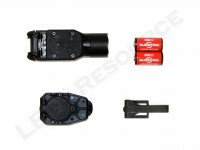 The tailcap and switch assembly swings upwards to allow access to the batteries, and springs on both ends of each battery ensures reliable operation. 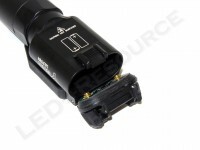 Two output levels can be activated using the toggle switch on the back of the Y300 Ultra. Both sides of the switch behave identically, simply press forward for momentary or rotate in either direction for constant-on. A single press or rotation will activate maximum output. Two presses or rotations within two seconds will activate low output. 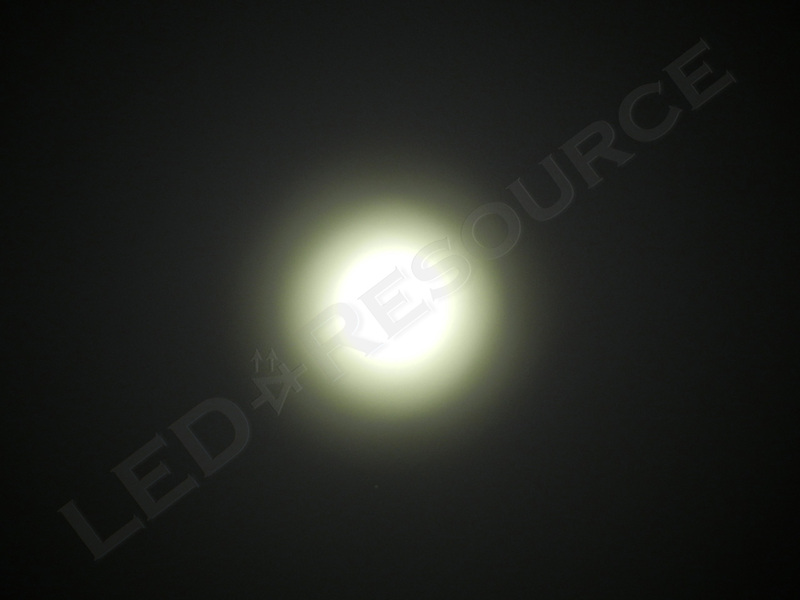 Using a Cree XP-G2 LED, the Y300 Ultra has a maximum output of 500 lumens. 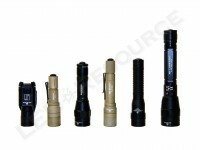 The TIR optic produces a focused beam pattern and large spill area, as expected from a high-end SureFire LED flashlight. 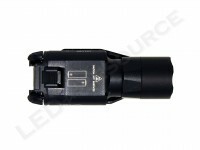 Output characteristics are very similar to the E2D LED Defender and EB2 Backup. 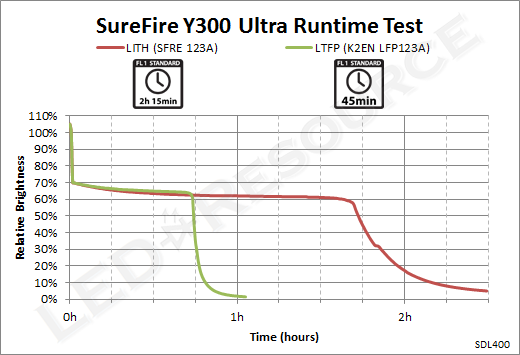 SureFire rates the Y300 Ultra’s runtime using the ANSI FL-1 Standard runtime, and the regulation is slightly different from the E2D LED Defender or EB2 Backup. 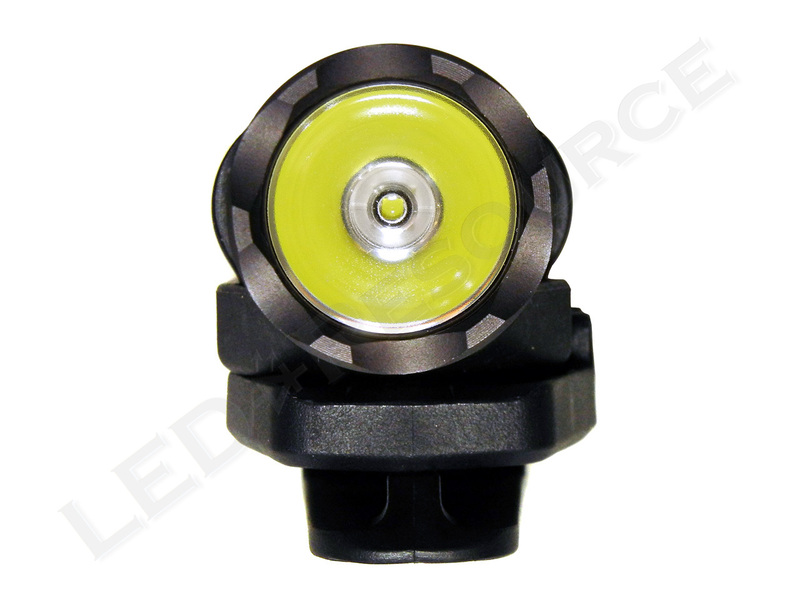 The Y300 Ultra maintains 500 lumens for about 30 seconds, then steps down to 350 lumens and maintains consistent output for more than 1h 30min. 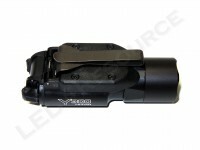 Even though converting a weapon-mounted light for handheld use may seem odd at first, the SureFire Y300 Ultra has some unique benefits compared to a conventional handheld light. 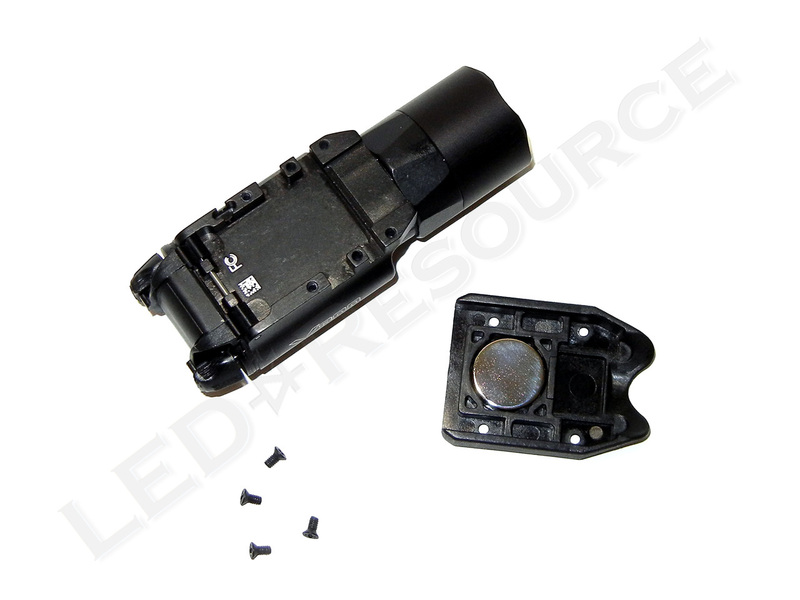 Placing the two 123A batteries next to each other inside the light significantly reduces overall length, along with the toggle switch, which opens by flipping up. The Y300 Ultra’s magnetic base allows a variety of mounting options, including securely attaching the light to a car’s body panels or metal cabinet, as well as quick detachment from the belt clip. 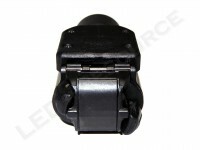 Accidentally detaching the light from the belt clip is possible if the light gets caught on something like a seat belt or door frame, and unintended attraction to objects like keys or paper clips could be problematic, so a two-way pocket clip is included as an additional option. It’s often a tradeoff when deciding between compact size and maximum performance, but the Y300 Ultra makes no compromises. Using similar SureFire lights as a reference, the Y300 Ultra incorporates the performance of a two-cell light (EB2 Backup, 500 lumens) with the small size of a single-cell light (EB1 Backup, 200 lumens). While the EB1 and its 200-lumen output is by no means inadequate, having the 500-lumen output of the EB2 in a light that’s even more compact than the EB1 is not only impressive, but also rather clever. 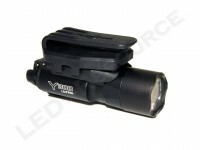 The Y300 Ultra does carry a slight price premium, but coming from a line of weapon-mountable lights, the SureFire Y300 Ultra is bound to be an exceptionally durable handheld light. Another GREAT write up! I like your Con – Expensive! I love me some Surefire, but the prices can be WOW!